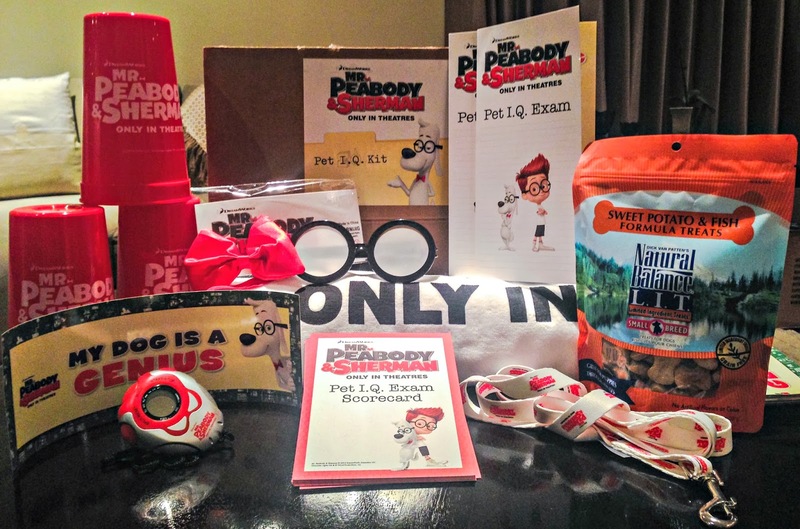 "Mr. Peabody And Sherman": Fantastic Giveaway! Sherman and his canine buddy, Mr Peabody, at the controls of their WABAC machine. How many of you remember that super smart cartoon, Peabody and Sherman, the boy and dog duo who went back in time via their "WABAC Machine" to sort out the muddled mess of history? Parental Unit certainly does, and she even remembers specific episodes: In one trip, they went back to the "Charge of the Light Brigade" and discovered that it was dubbed the Light Brigade because it had only six men! 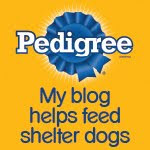 And please don't spread this around, but she even has a Peabody and Sherman T-Shirt from decades ago! O.K. 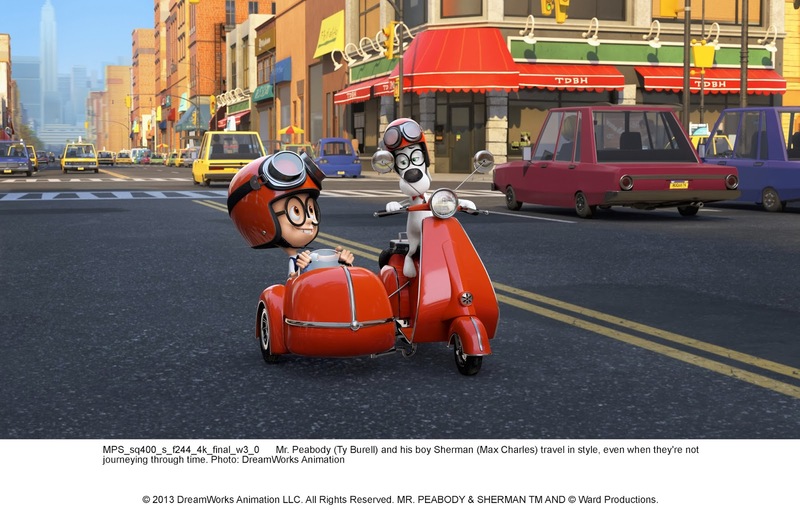 enough of Parental Unit's fond memories...Tomorrow, March 7, "Mr. Peabody & Sherman", the latest animated adventure from DreamWorks Studios, is released to theaters nationwide. There's nothing like a boy and his super smart beagle helping to rewrite history to keep us on the edge of our seats. But wait, there's lots more! 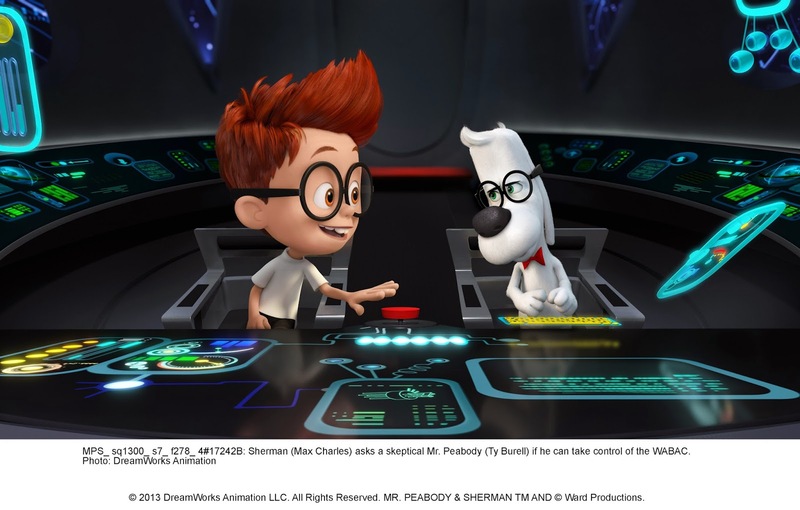 To promote the movie, DreamWorks has created a fun and easy to use doggie IQ Test, so each of us can see if our dog measures up to Mr. Peabody's smarts. And we're giving away not one, but two of these IQ Tests to a few lucky readers. 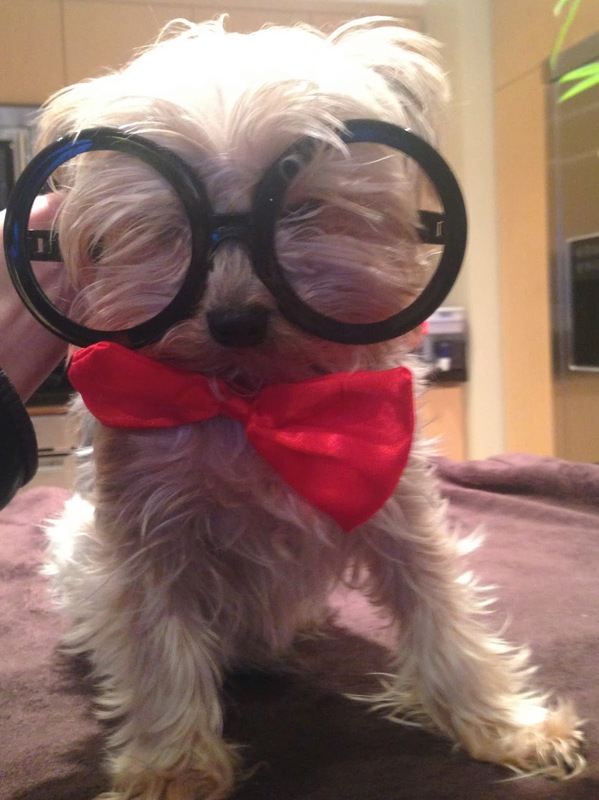 We're also giving away two sets of round eye glasses and red bow ties, so your dog can even look like Mr Peabody. Two winners will receive both the IQ test and the bow tie and glasses. See directions at the end of this post to enter! Small bucket, treats, towel, score card pad, Staff and Test Administrator T-Shirts, plus other items pictured below. And here's a photo of a sweet pooch wearing the glasses and bow tie. Cuteness overload! So how can you be one of the two luck winners? 3. You must give this giveaway a shout-out on your Twitter or Facebook page by using the buttons below this post-easy! Please leave your email address in your comment so Parental Unit can contact you if you've won. This contest will run from today, Thursday, March 6, 2014 through Saturday March 22, 2014 at 8:00 EST. I definitely want the chance to win this giveaway. I'm following you on Facebook, tweeted this giveaway, and follow you on GFC. What a fun give-away and good luck to everybody. Have a fabulous Friday. Our mom remembers that cartoon so well! What a great give-away! Being an Aussie - I can't say I have heard of Peabody - but I have seen the commercials on tv for it - looks like it will be a funny movie. I love Mr. Peabody, thanks for the chance. Please enter me! I like you on Facebook and follow you on GFC as Rachael Henzman and tweeted here: https://twitter.com/3whiskateers/status/442048255963066368 Thanks for the giveaway! #3 - I shared this giveaway on Facebook shout out). Good luck with the give-away. Have a nice day. I really hope that I win this giveaway! Thank you! 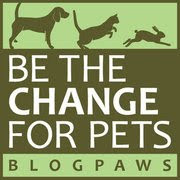 I've done sll of the requiremrnts my email is nancyloring317@gmail.com. I think the glasses and bowtie would look as cute on my dog as they do on yours. Would love to enter the giveaway. Like you on facebook as "Vicki Vix'. Follow you on GFC as "From Furrin". Tweeted and shared on fb using your links. Liked, follow, tweeted, and want to win!